If you have just signed up for a Campaign Monitor account you will receive a verification email from them (it will come from invite@createsend.com). Within this email there is a button labeled "Accept the invitation" - once clicked, this will verify your new Campaign Monitor user. If you have not completed this verification step then your functionality in Campaign Monitor will be limited. Verification is particularly important when connecting to Salesforce. Although you will be able to connect the two systems you will receive various warning messages like the one shown below. If you have more than one user in Campaign Monitor you can check to see who has verified and who has not. 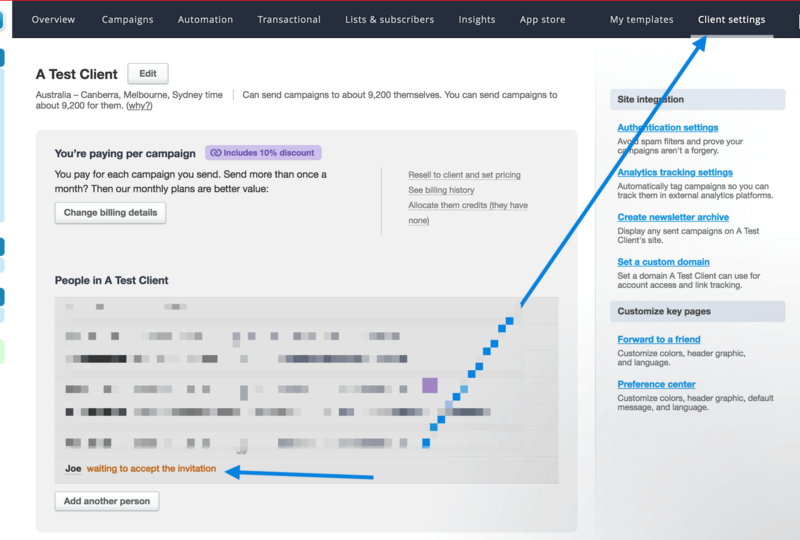 To do this, go to Campaign Monitor directly or via our Salesforce tab and click on Client Settings as shown below. Here you can also resend the verification email, click here to learn more. 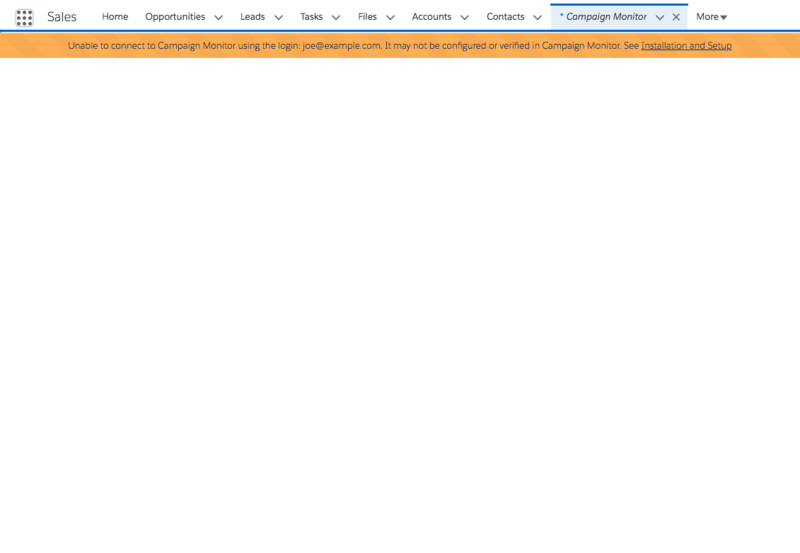 The Campaign Monitor user you connect Salesforce with must have full permission access.